From wilderness to wildlife to awe-inspiring glaciers, Alaska is a land of natural wonders. Head into Canada on White Pass & Yukon, the "Scenic Railway of the World". Hike through glacial waterfalls and rainforests outside Juneau. Take in the spectacular Juneau Ice Field from a helicopter. Enjoy a wildlife excursion onboard a high-speed catamaran. Race across a glacier in an exhilarating dogsled ride. Juneau - Why not experience the excitement of the Gold Rush. So what if it was over 100 years ago. Juneau, the capital of Alaska, was founded during a gold rush in 1880. But you can still feel the spirit of discovery today. Reputed to be one of the most scenically stunning cities in America, Juneau is a breathtaking destination. Nestled at the foot of Mt. Juneau, it faces the Gastineau Channel, home to magnificent fjords as well as the majestic Mendenhall Glacier. Or, if you dare, venture outside the city to see Alaska's wilderness up close. Hubbard Glacier - One of the most active glaciers in the world, this 1,350-foot Alaskan natural wonder is spine-tingling. We get chills just thinking about it. Experience fascinating cultures, vibrant cities, and singular adventures in the Far East. Admire the view from the world's tallest building (1,671 ft.) in Taiwan. Shop 'til you drop in Hong Kong's bustling open-air markets. Sample exotic curries and satays in a post-colonial Bangkok café. Explore some of the world's most beautiful temples in Cambodia. Barter over batiks, silks and sarongs in Singapore's famed Arab Street. Hong Kong, China- Hong Kong is a city of contrasts. Behold Rolls-Royces parked next to bicycle taxis, small sampans beside giant container ships, street-side food stalls alongside four-star restaurants and sleek skyscrapers facing bamboo huts. But this bustling, modern city with luxury shopping, superb cuisine and dazzling scenery lures over 13 million tourists yearly. Why? One visit and you'll be saying why not. Singapore - At first, the skyscrapers, modern malls, and fast-food chains conjure a large American city. But just close your eyes for moment and a whiff of fresh spices from an open-air market and the sound of an imam calling the faithful to prayer will conjure an image like you've never seen before. Now open your eyes or you might get run over by a rickshaw on its way to Arab Street's small shops. Sip a gin sling on the porch of a colonial-era hotel. As seasoned travelers say, "In Singapore, nothing is as it appears." Nha Trang, Vietnam - Khanh Hoa Province's capital is known as Vietnam's ocean city - and with its arched, white-sand beach and crystal clear waters, one can see why. Plenty of first-class cafés and restaurants can be found along the beach, serving cool drinks, fresh seafood and reasonable prices. For hot days and hotter nights, Nha Trang is not to be missed. Explore the wonders of the world Down Under in Australia and New Zealand and come back knowing a lot more about these countries than just putting a shrimp on the barbie. Tour Australia's most famous architectural icon, the Sydney Opera House. Spot shells or even a frolicking dolphin along Melbourne's pristine coast. Stroll through a beautifully kept park in Christchurch, aptly called the Garden City. Discover New Zealand's art, culture and history in a Wellington museum. Sydney, Australia - One of the largest cities in the world, Sydney is built around one of the world's most beautiful harbors. With its dramatic white-sailed design, the Sydney Opera House is among the most easily recognized buildings on earth (whether you like opera or not it will still blow you away) And don't miss the famed Harbour Bridge! The city center offers a nexus of world-class restaurants, shopping, entertainment and museums. Why? Why not. A must when it's warm: sun and surf at one of the spectacular beaches. Hobart, Australia - Founded in 1802 at the foot of Mount Wellington, Hobart retains the flavor of a small town from a more leisurely era. Classic Georgian and Victorian mansions, small cottages, and unique shops and galleries abound (more than a few built by convicts imported from England. Cross the oldest road bridge in Australia Richmond Bridge - and enjoy a little tucker and a pint at a local pub. Drinks are on us! Actually that's not true, we just couldn't help ourselves. Wellington, New Zealand - If the words chic and vibrant don't describe you, why not visit a place that will make you feel that way? Once thought of as a stuffy backwater town, Wellington has become the native's destination of choice for a fun-filled weekend getaway. Little wonder, as theaters, boutiques, restaurants and pubs are all found in one concentrated area. It's been said that the per capita number of Wellington restaurants actually rivals New York City! Swim, sail, snorkel or doze in the sun, preferably not all at the same time, on these breathtaking island beaches. Parasail over our private island, CocoCay. Swim with dolphins in crystal-clear water. Follow the legendary footsteps of Blackbeard. Soak up the sun on a white-sand beach. Spot sharks, barracuda and other creatures of the deep at "Predator Lagoon". Experience the rush of the Thriller powerboat adventure. Nassau - The Bahamas' capital boasts beautiful beaches and charming Old World architecture, but Nassau is also a vibrant contemporary center full of shopping, restaurants and more. Cross the bridge to Paradise Island to see its extravagant resorts, or discover over 300 species of beautiful plants and flowers at the Royal Victoria Garden, or both. Why not? CocoCay - Enjoy our private destination paradise, available only to Royal Caribbean guests. Its sugar-white beaches are a wonderland of adventure and play. With nature trails and aquatic facilities, CocoCay offers something for everyone, from parasailing to sipping delicious "Coco Locos" on a hammock. Each visit to this exciting port is topped off with a mouth-watering beachside barbeque. Just writing about it makes us hungry. Tee off on a world-class golf course. Soak up the sun on pink-sand beaches. Shop for bargains and sample local cuisine at King's Wharf. Bike the Bermuda Railway Trail in Hamilton. Enjoy views of rocky coastlines and uninhabited islands. Troll for blue marlin on a deep-sea fishing adventure. Hamilton - This charming port is quintessential Bermuda, with its pastel buildings and businessmen bustling around in jackets and ties and, yes, their trademark shorts. From here, you can set sail to see the more than 350 islands that make up Bermuda. Bermuda shorts optional though highly recommended, especially if you have nice legs. King's Wharf - This cultural center built at the remarkable Royal Naval Dockyard boasts shopping, restaurants, art galleries, craft markets and eight wonderful museums. For water-lovers, it also offers a snorkel park and an extensive watersports facility, making it an excellent destination for the whole family. St. George's Island - In the oldest inhabited town of English origin in the New World, you'll find yourself surrounded by history. Visit St. Peter's Church, believed to be the oldest Anglican church in the western hemisphere. It was originally built in 1612, and served as a meeting place for the first Bermuda Parliament in 1620. However, they probably weren't wearing shorts back then. Retrace history's stepping stones along quaint, cobblestone streets. Retrace American history on Boston's three-mile Freedom Trail. Mountain bike through the raw beauty of Acadia National Park. Find steals in Freeport at the world-famous L.L. Bean® and over 100 other shops. Sail the coast of Nova Scotia in a 63-foot schooner. Taste the true flavors on the Northeast at an authentic Lobster Bake. Discover Quebec's breathtaking 272-foot Montmorency Falls. Boston, MA - Known as "the Hub of Civilization" since its pre-Revolutionary days, Boston remains an exciting, picturesque and bustling metropolis. Home to some of the world's greatest universities and colleges, there is always plenty going on. Did you notice, not once did we call it "Beantown"? Oooops. Bar Harbor, ME - Cobblestone streets, a challenge in high heels, and quaint storefronts make Bar Harbor a delightful New England vacation destination. But it's what's just down the road that truly defines the area. Acadia National Park, a short drive from town, offers a spectacular display of untouched nature at its finest. Rocky cliffs and jagged coastline give way to beautiful ocean views and stony beaches - perfect for a mouth-watering Maine lobster bake. Portland, ME - Portland is the largest city in Maine and considered the business, financial and retail capital of the state. You will find a mix of urban liveliness and historic architecture that blends sea and cityscapes seamlessly. And while you're there why not enjoy the waterfront views of CascoBay or take in the charming ambience of the Old Port section of the city, with its restored buildings and cobblestone streets. Eastern Canada - From the bustling excitement of Halifax to the quaint, quiet pace of Saint John's, North America's oldest city eastern Canada is a large and varied region. Echoes of Europe are visible in its charming streets and architecture. Nature is also an essential part of everyday life, with hiking and kayaking among the favored ways to explore. The words "something for everyone" come to mind here. Snorkeling or swimming, shopping or golf? Take your pick in the ultimate outdoor playground. Hike Jamaica's Dunn's River Falls or mountain bike in Costa Rica's rainforest. Snorkel with stingrays or go horseback riding on the beach. Dive 800 feet below sea level in a research submarine. Discover the inhabitants of a coral reef on a glass-bottomed boat. Visit Labadee®, one of Royal Caribbean's exclusive and private destinations. Commune with ancient civilizations by climbing mysterious Mayan pyramids. Western Caribbean - Beyond their tropical paradise settings, these islands are home to rich culture and complex histories. Explore archaic ruins, sunny beaches, rainforests and numerous waterfalls. It's a lot to pack for but definitely worth the trip. Spend a fun-filled afternoon at our floating Aqua Park in Labadee, a private destination available only to Royal Caribbean guests. We like to think we're inclusive but, admittedly, that's only for our guests. Which makes us kind of exclusive. Eastern Caribbean - Relax surrounded by the white-sand beaches and resplendent turquoise waters of the most beautiful islands on earth. Or don't relax and find adventure parasailing high above it all or at the Dolphin Encounter. Or visit Labadee, one of our exclusive, private tropical destinations where nature brings striking mountains and pristine beaches within arm's reach. Or, oh okay, you get the idea, there's a ton to do here. Southern Caribbean - The most exotic Caribbean islands await you down south. Adventures are endless in this area. Why not explore the Hato Caves in Curaçao, or seize the once-in-a-lifetime opportunity to race an America's Cup sailboat. Why not bask and relax at Magens Bay Beach in gorgeous St. Thomas, or stroll down the streets of Old San Juan and discover the largest Spanish citadel in the New World. Why not experience the many cultures that make up these exotic islands. Why not? No reason at all. Amidst ancient history, some of the most dazzling cities of tomorrow await discovery. Explore Ras Mohammed, Egypt's oldest nature preserve. Sand ski down the dunes of Liwa Oasis or snowboard at the indoor ski dome. Fly over the Palm Islands, the three largest artificial islands in the world. Experience thrilling dune drives in the desert. Dubai, United Arab Emirates (UAE) - This sunny, arid paradise on the edge of the desert also happens to be one of the world's fastest growing cities - and a premier luxury travel destination for visitors around the world. Fujairah, UAE - A striking mountainous landscape rich with unspoiled beauty, Fujairah has plenty to offer day-hikers, sports enthusiasts, or anyone who appreciates spectacular scenery. Which pretty much covers everyone. Abu Dhabi, UAE - The largest of the seven Arab Emirates, Abu Dhabi combines tranquil beaches and beautiful desert oases with a vibrant, electric city life. Those with a taste for refined sport will enjoy the area's abundance of cricket, golf, and equestrian activities. Sharm El Sheikh, Egypt - Travelers to "The City of Peace" can enjoy the true basics of a tourist holiday - sun, sand, and sea. Very peaceful indeed. Aqaba, Jordan - Experience an otherworldly excursion to the lost city of Petra. Created by the Nabateans, Bedouin tribes who journeyed from Arabia over 2,000 years ago, this fortress-like city became a wealthy and important stronghold by protecting passing caravans. Called the rose red city half as old as time (and that's mighty old), Petra was lost to the world for centuries, hidden in the mountains of southern Jordan. Explore the Holy Land and birthplace of civilization, plus medieval towns, craggy cliffs and ancient ruins where you'll feel incredibly young by comparison. Explore the Baha'i Shrine and Gardens in Haifa, Israel - a true horticultural marvel. Pamper yourself at the Turkish baths in Rhodes, Greece. Tour Copenhagen's Rosenborg and Christianborg castles. See the sites of Helsinki from a Jopo, the famous Finnish bike. Visit Lisbon's Mosteiro dos Jeronimos, commissioned in 1501 in honor of Vasco da Gama. In Funchal, try a unique and exhilarating basket-sled ride down a volcanic mountain. Climb up inside the spires of Gaud's Sagrada Familia Cathedral in Barcelona. Stop for authentic, freshly made gelato in one of Rome's bustling squares. Classic Mediterranean - Where there were once new civilizations, unstoppable empires, and the world's greatest natural wonders, an incredible vacation awaits. On our Mediterranean cruises, experience the undulating coastlines of the Greek Isles, stand in awe before landmarks and landscapes that echo the history-changing moments that once happened there. Conquer the Acropolis in Athens, touch the crumbling walls of Rome's Colosseum, or whisper in awe in the Sistine Chapel. At every turn, marvel at scenes you recognize from history books and movies - but that are more spectacular than anything you've ever seen on page or screen. Holy Land Journey - Follow in the long-gone footsteps of legendary leaders and charging crusaders, on a fantastic journey through a global spiritual center. Churches intermingle with mosques and synagogues, while peaceful shrines are neighbored by bustling bazaars and modern shopping destinations - a present-day blend that's as diversified as this region's history. The Holy Land - a place where myth and history meet, and one fact is certain: you're in for a one-of-a-kind adventure. Adriatic Coastal Charm - Imagine a sliver of sea where ancient coastlines have withstood the test of time - a place to see castles reflected in glacial lakes, to follow intertwining streets and alleyways to the doorstep of breathtaking cathedrals, to touch 4th-century mosaics that have been intricately preserved over time. Where the Adriatic Sea meets the land, become immersed in the bustling everyday life of charming, authentic towns dating back to the Middle Ages. Baltic Explorations - Picturesque towns, towering cathedrals, museums packed with whimsical works, and complexes holding palace after palace - welcome to the Baltic region, an area of the globe encompassing Scandinavia, Russia, and the amazing wonder of their landscapes and cityscapes. Whether your pursuits are eco-adventurous, artistically inclined, or historically focused, the Baltics' rich and varied offerings meet the desire of every visitor. Revel in nature's extravagance, from fiery volcanoes to cascading waterfalls. Snorkel with dolphins and sea turtles in the shadow of Lanai. Traverse the lunar landscape of Hawaii's lava fields. Watch the acrobatics as surfers work their magic in Hawaii's famed shore break. Experience the vivid flavors of treats from the Far East in Honolulu. Oahu - Hawaii's most populous and famous island, Oahu is renowned for its shopping, its food, its beautiful beaches, and its breathtaking views. Want more? Okay, it is also the home to the USS Arizona Memorial. Check out the surfers on the North Shore, or at Diamond Head Crater in Waikiki. Maui - The second largest Hawaiian island, Maui means myriad beaches, rainforests, waterfalls, eucalyptus groves, and even unique cattle ranches. In other words, it means you're going to have a heck of a good time. Don't miss the view from Haleakala, the largest dormant volcano in the world. Kauai - So green it's been nicknamed the "Garden Island," Kauai is a lush, largely unexplored paradise. Snorkel in its beautiful turquoise waters or check out the rainforests where Jurassic Park was shot. We're pretty sure the dinosaurs are gone. Hawaii, the Big Island - The island of Hawaii is called the Big Island, which is far more impressive than being called the teeny tiny island, with good reason: it's more than twice the size of all the other Hawaiian Islands combined. And every inch is covered with lush scenery, from rugged volcanoes to waterfalls and rain forests. Experience the steaming craters and hardened-lava rivers of Hawaii Volcanoes National Park. Swim with stingrays in George Town's famous Stingray City. Shake your maracas on the wacky Kukoo Kunuku bar-hop adventure. Explore exciting Cheeseburger Reef in a semi-submersible. Take in the "beautiful people" in Miami's South Beach. Miami, FL - From the Art Deco district of South Beach to the romantic plazas and fountains of Coral Gables, Miami is a truly singular and scenic destination. Georgetown, Grand Cayman - Explore what National Geographic calls one of the most rewarding experiences in the undersea world: Stingray City. You have to see it to believe it. And even if you see it, you still may not believe it. Panama Canal - This vast engineering effort of the early 20th century created an ocean connection that changed the world. The bonus? Not that it needs one, considering changing the world's a pretty big deal, but you also get a man-made geographic marvel bordered by lush and beautiful tropical rainforests. Steamy rainforests, sizzling beaches and sultry dance clubs: South America is hotter than ever. Take the tram to Sugarloaf to admire spectacular views of Rio's Copacabana and Ipanema beaches. Sip caipirinhas at a beachside cafe in Brazil. Visit a tango house in Buenos Aires. Uruguay - We'd like to say Uruguay is a big country because they know how to do things big. But it's a tiny country. Nevertheless, the beaches here are among the most beautiful in all of South America - and Punta del Este bundles its gorgeous shorelines with discos and chic shopping, It's no wonder this is the hot destination for jet-setting South Americans. Ilhabela, Brazil - This stunning island has always held itself a little apart from the mainland of Brazil - literally. Once an outpost against foreign navies, pirates and smugglers, it is now primarily a gorgeous state park reserve consisting of pristine beaches and rainforests, set against a spine of lush green mountains spiked with streams and waterfalls. You may meet some ultra-friendly locals - but probably no pirates or smugglers. Darn. Rio de Janeiro, Brazil - This energetic city is flanked by 23 beaches that are nearly as lively as its inhabitants, who like to sunbathe, kite surf, play soccer (a.k.a. 'futbol') and engage in just about every sport you can imagine on these lovely strips of sand. Two must-see beaches: Copacabana and Ipanema. For a totally different view, simply look up at the fertile green mountains, including Corcovado, home to the famous Christ the Redeemer statue. In this city that never stops, passion is a way of life - and the feeling is contagious. Who knows, maybe you will fall in love with, say, the person you're married to all over again. Buenos Aires, Argentina - Buenos Aires has often been called the Paris of the South, because of its abundance of charming cafés and cobblestone streets - and its stylish abundance, period. But this happening metropolis so far south of the equator boasts its own unique and spirited flare, defined by the fiery tango. Would Evita have settled for less? No! (Spanish translation: "no".) Learn more about Argentina's airport entry fee. Sail off into the horizon on a romantic voyage across the ocean, from America to the Old World. Falling in love is on the itinerary. Why not choose a transatlantic voyage on which there is never a dull moment (unless, of course, you like dull moments)? 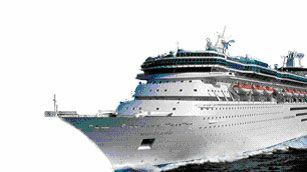 And then discover the adventure of exploring foreign ports and shores, while returning to the comfort of your stateroom every night? In a world where everything is harried and hurried, imagine the unique thrill of taking a step into history - to a time when traveling was the adventure - and setting out to cruise across the horizon. Stand atop the Rock of Gibraltar. Explore the varied landscapes of the Canary Islands. Stroll through the charming squares of Europe. Shop at the finest European boutiques and shops. Follow the paths of ancient explorers and discover their homelands. Canary Islands - Some people believe the ancient city of Atlantis was located on the islands off the western coast of Africa - now known as the Canary Islands, a province of Spain under Spanish Government. Las Islas Canarias have been prized for their striking scenery and delicious cuisine since the time of the Greeks and Romans. Of course, the cuisine has been updated since then. Ireland - Ireland is much more than shamrocks and whiskey and the color green: it's a vibrant, modern country. It's also a beautiful place to discover the past. Explore grand castles and sprawling country estates, or tour the countryside and its charming villages and natural wonders. France - Go dancing at the Moulin Rouge. Wander the wide streets nibbling on a freshly made crépe from a stand, or sit in a café and enjoy croissants and café au lait while reading a magazine. If you read it upside down, however, it's a dead giveaway you're not French. France offers an adventure for your senses - from the unmistakable skyline of Paris to the rich, delicious tastes of French cuisine. Portugal - Home of many of the world's great explorers, Portugal perfectly captures the excitement of discovery. Why not go hiking in the hills and enjoy sweeping views, or discover hidden treasures in the narrow and picturesque streets of graceful Lisbon? We can't think of a reason not to. For an exotic itinerary that's full of surprises, try a few destinations on for size. Whether you're a cruising newbie or a seasoned sailor, our Repositioning cruise vacations are worthy of exploration. 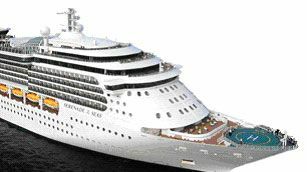 Since these cruises typically sail from one destination to another - departing from one port and ending in a different one - they offer a blend of exciting cities or ports you wouldn't see on our other itineraries. So why not enjoy the authentic Italian dining of Rome, dive among the coral reefs of Sharm El Sheikh, Egypt, or let your jaw drop at the sight of Gaud's distinctive architecture in Barcelona? Onboard Royal Caribbean International, innovation and imagination rule supreme - and never has it been truer than on our groundbreaking Oasis class ships. Each features seven incredible neighborhoods, packed with first-at-sea experiences: the ocean side AquaTheater, Starbucks®, Broadway hit musicals Chicago and Hairspray, 3D movie theater, zip line, designer shopping at Coach® and GUESS® stores, and much more. There's something for everyone to discover on the most awe-inspiring ships the world has ever seen. Meet our Freedom class - ships that ensure you'll never run out of things to do. Hang ten on the FlowRider®, or ice skate, rock climb, and mini golf. Make a splash in the H2O Zone water park with water guns and interactive geysers. Or simply relax in whirlpools extending 12 feet beyond the sides of the ship. Plus, check out new features on Freedom of the Seas® and Liberty of the Seas® - including the DreamWorks Experience, outdoor movie screen, 3D movie theater, and more. Our Voyager class of ships introduced a packed lineup of signature innovations that guests love. Climb the rock wall 200 feet above the ocean. Ice skate on the first-ever rink at sea. Or immerse yourself in the sights and sounds of the Main-Street-style Royal Promenade, perfect for people watching, designer shopping, and a cold pint at the British-style pub. You'll never be at a loss for a new onboard experience. We built the Radiance class to let the sights of the sea be the star. Every ship has soaring, sunlit spaces, glass elevators facing the ocean, and more balconies than you'd ever imagine - plus a Solarium pool surrounded by lush tropical foliage. Try your hand at mini golf, rock climbing, or a round of pool on the first self-leveling pools tables at sea. And on the newly renovated Radiance of the Seas®, enjoy eight new food and drink venues, an outdoor movie screen, nursery and more new features. From Alaska to Hawaii, Mexico to Asia, our worldly Vision-class ships can take your curiosity just about anywhere. Spend an afternoon by the pool at the adults-only Solarium, complete with retractable roof. Or find your next great adventure at the bungee trampoline, rock-climbing wall, and mini golf course. When the sun goes down, enjoy fine dining and a Broadway-style show. On Splendour of the Seas® this fall, exciting new renovations bring even more to love onboard, including 100 new balconies, an outdoor movie screen, and an array of new dining options. Our Sovereign class of ships is designed for shorter getaways - but there's no shortage of things to do onboard. From the VitalitySM Spa and state-of-the-art fitness center, to the Casino Royale® and Broadway-style shows, each day promises both relaxation and excitement. 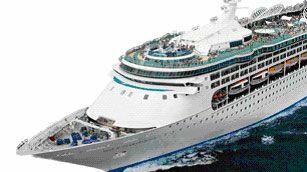 Majesty of the Seas® and Monarch of the Seas® boast our signature rock-climbing wall, whirlpools, pools, basketball court, fine dining round the clock, and imaginatively themed nightlife venues. When time is short, there's no better way to treat yourself to the Royal Caribbean cruise experience.